As one of the most economically and politically stable countries in Latin America, Costa Rica is viewed as a safe bet. We will examine below why now is the best time to get a slice of the action. From its political to natural landscape, there are many reasons why Costa Rica is viewed by investors as one of the safest emerging markets to expand their real estate portfolio. Its exports remain strong, tourism numbers are at record level, and the country has one of the highest levels of foreign direct investment per capita in Latin America. The financial crisis did have an impact on the market, but prices have stabilized in recent years. Foreign investors have been capitalizing on this particular market of late, with purchasing activity already up 14 per cent in the first quarter of 2013, compared to the same period last year. Economically, Costa Rica’s GDP is expected to rise, which will fuel investor interest. The IMF indicates that the GDP will increase by 4.2 per cent in 2013 and 4.4 per cent in 2014. In the aftermath of the global crisis, overinflated real estate prices dipped to more realistic and fair market values. Interest for purchasing real estate in Costa Rica has steadily increased the last few years, especially with the newly renovated Daniel Oduber Quirós International Airport in Liberia, providing easy access to the Guanacaste region. The demand for short-term vacation rentals in the area continues to lure foreign investors looking for income producing properties. As the US economy continues to rebound from its recession, we continue to see more American Buyers reengaging in foreign markets. There have also been an increasing number of Canadian and European Investors buying land and businesses in Costa Rica to build their own businesses. Guanacaste seems to have become a hub of foreign entrepreneurs looking to develop their own businesses abroad. 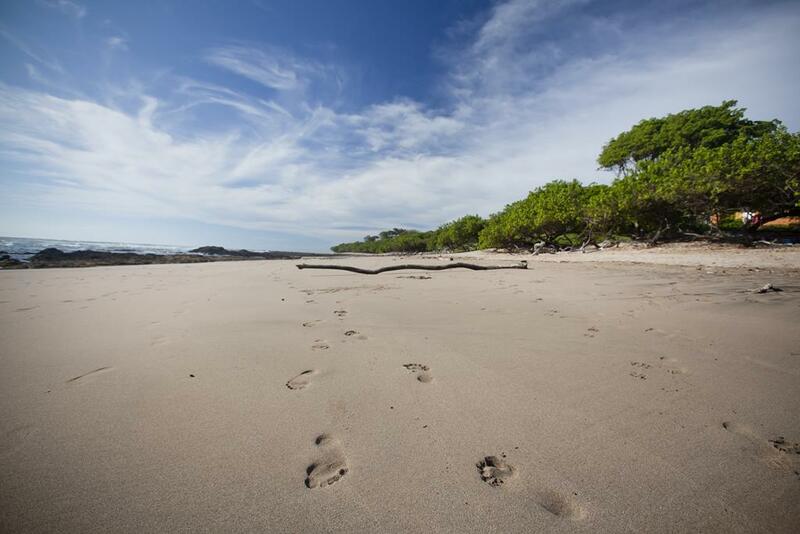 This diverse mixture of property and business owners in the Tamarindo area is what drives the local economy and continues to attract the adventurous from all around the world. Long-term investments will yield the best results; so, as the market has now found its footing, now is the time to act. Casa Kanda is a stunning, contemporary rental villa that has been getting rave reviews guests. With predictions of increased tourism throughout Costa Rica in 2014 and great reviews like these, this 3-bedroom tropical home promises to be a very successful investment property. We came as a group of four (two couples)and the villa was more than enough room for us but I would not recommend a group more than six, only because of the amount of bedrooms. We felt that the house provided everything we could possibly need, including beach accessories, umbrellas, hair dryers, etc. Besides groceries, we didn’t need a thing. The kitchen is very well equipped so we were able to cook at our leisure. We also hired a private chef (Fabien Mandrea) to come several nights who was excellent. Alejandra recommended him to us and we were pleasantly surprised at how talented he was. We would recommend to do this at least one night as it’s very cost effective. We also hired a masseuse (Caroline Lemaire) to come two evenings and again we were surprised at the talent. All four of us agreed it was the best massage we ever had! They set up at the pool outdoors and promise, this massage under the stars was one to remember. I also have to mention that Alejandra was MORE than helpful and accommodating. She helped us book activities, tour guides, recommended taxis and chefs and even helped us to get groceries the first night when our flight arrived late! She and Marc live on the property and were very easy to contact at any time. The one issue our group had (and this was our fault as Alejandra mentions to rent a SUV in her guide book) is that we rented an insufficient car for the driveway. The driveway is unpaved and VERY steep so having an SUV with four wheel drive is an absolute necessity! And remember that it is almost impossible to find a car that isn’t stick-shift in Costa Rica so tune up your driving skills! I would also mention it is a bit difficult to find the house at first so I would recommend to have a phone available to call Alejandra when you first arrive. “Villa Kanda looked fantastic on HomeAway but it was even better than expected. I went with my wife and 3 friends for the thanksgiving break and had a fantastic vacation. The villa is beautiful with great furniture which is also very comfortable. The location is beautiful, with breathtaking views (sunrise and sunset too! ), which you can enjoy from the pool, terraces, hamacas, outdoor living room, state-of-the-art kitchen (we prepared a full thanks giving dinner, including the turkey which we bought at a supermarket which has everything) or bedrooms (the master bedroom is HUGE and has a HUGE terrace). 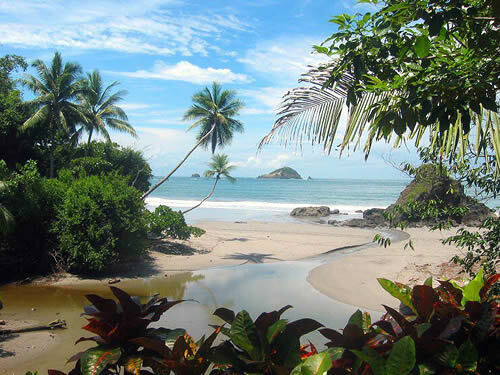 The villa is located in Finca Panama, which is 15-20 mins from Tamarindo (you need a 4×4). We saw monkey’s in the wild a couple of times! Finca Panama is a gated community, so you feel very safe, but the good thing is that you don’t see (or hear) any other properties from the villa. Yami, the housekeeper, was also extremely helpful (kept everything pristine and even washed some clothes) and the gardener kept the pool and garden in great shape too. Condo La Buena Vida n°4 – Reduced Again, Now $185,000! Read the full article for more great information on winds, swells, and the best times to surf, plus reviews of area surf camps & shops, and more. 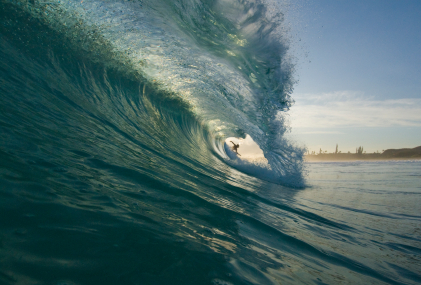 What’s your favorite Tamarindo-area surf spot? Tell us why!